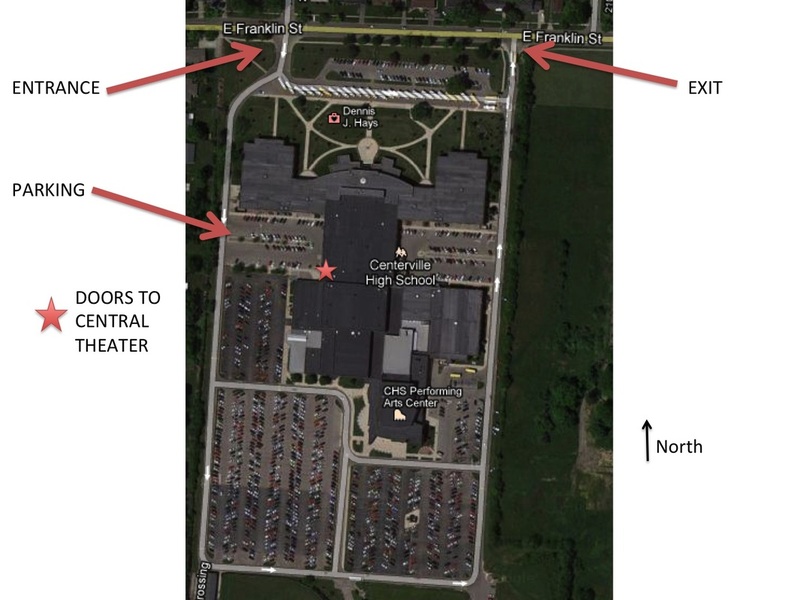 Traffic flows in a one way, counter-clockwise loop around Centerville High School. You will enter via the western driveway and exit at the eastern driveway (at the light). After entering the parking lot, veer right and go around to the west side of the school. Turn left into the very first parking lot that you come to. BEFORE the Athletic Entrance is an entrance marked THEATER, which you can access from this parking lot. ​Just to the left of the THEATER sign is a set of eight orange doors. Enter through these. Turn left at the first hallway. The Central Theater will be immediately to your right.